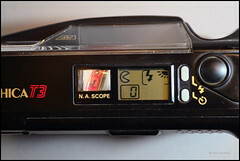 The Yashica T3 (also known as the Kyocera T Scope) was a 35mm compact camera from Kyocera with a high quality lens and viewing window (waist-level finder) on the top of the body. 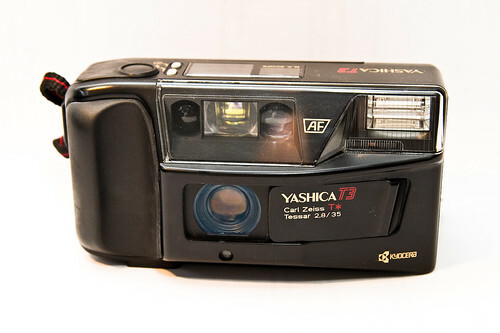 Carl Zeiss T* (coated) 35mm, f/2.8 lens. (Faster than other lenses in the T series). This page was last edited on 28 January 2018, at 09:44.